Born out of Columbia College in 2009, Carbon Tigers have built a solid fan base through the many live shows they've played over the past year. Their debut EP The Burrows has allowed them to layer their songs with depth of sound and run them through clean-but-not-airless production. The result isn't a simple brand of rock; each song is tightly packed with melody and texture evocative of The Mars Volta at their most concise. Chris Wienke's vocals land in the Yorke/Bellamy range, though I'd say Carbon Tigers' sound lies overall more in line with the lesser known Ours. 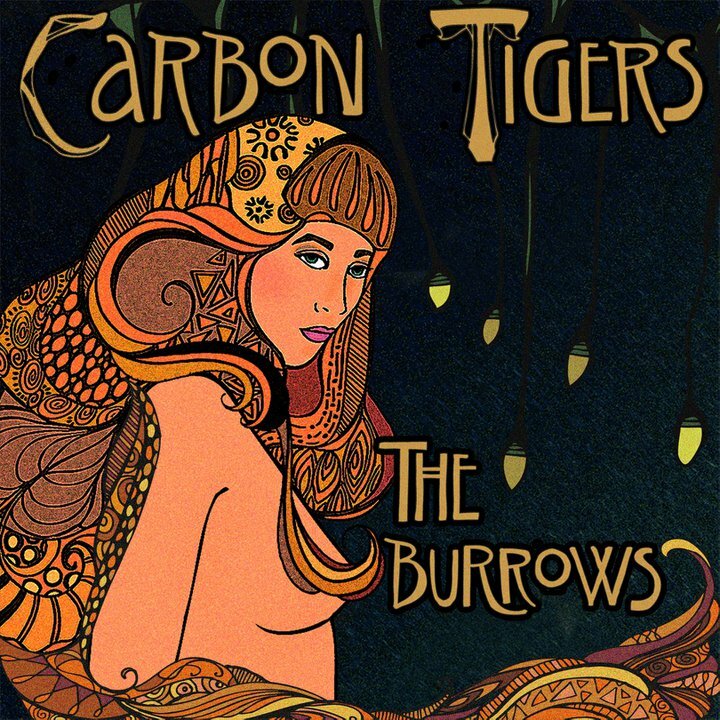 Like Muse, though, Carbon Tigers allow themselves some glitter in the mix of their solid rock sound. However, they use jingly guitars and chimes not at the expense of the darkness of their tone, but actually in support of it. Against the constant engine of jittery bass, the treble creates a wide space for the never predictable vocal melodies to soar. It's an interesting and well-maintained balance aided by excellent production; every sound along the spectrum rings out clear no matter what other sounds it's folded in with. From the space-age guitar solo on "Everything Along the Way" to the slicing arpeggios under the chorus of "The Rat and the Rabbit," guitarists Nick Cudone and Matt Irizarry create unique tones without committing effects overkill. The Burrows EP packs in five dense and intricate alt-rock tracks - a solid debut from this Chicago fivesome. 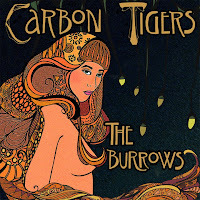 A digital version of the release is available here at Carbon Tigers' Bandcamp. You can also pick up a physical copy here. Listen to "To Carve Our Shapes" below.